Are you planning to immigrate to Canada in the near future? Do not hesitate, the idea is remarkable. 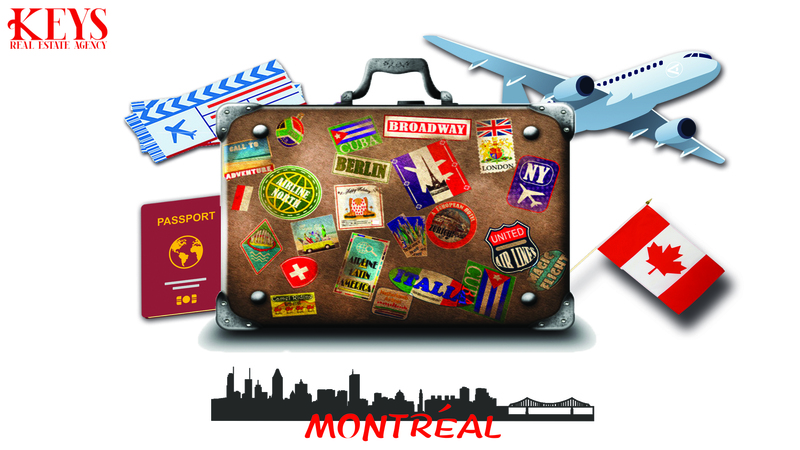 Montreal is a cosmopolitan city that welcomes many newcomers of all nationalities each year, it is a bilingual city in French and English and a very cultural metropolis with its countless festivals. An immigration project in Quebec implies above all to find a place of life. We are aware that the lack of knowledge of the real estate market for our newcomers brings an additional difficulty in their search for location or purchase of real estate. To counter this, the real estate agency KEYS helps you in your search for rental or purchase by proposing a complete and tailor-made support service specially designed for newcomers. We are present in order to eliminate the difficulties and the stress that an immigration in Quebec. To make your integration in Montreal easier and more successful, KEYS offers a global service specifically designed for newcomers to Montreal. The KEYS real estate agency has a large network of partners, each contributing to the success of immigration and the integration of newcomers into the country. The advantage of using this broad network of partners is to be accompanied in all your steps before you arrive in Montreal until you integrate Canada. The real estate agency KEYS takes to heart your projects of life and wishes that they are realized even beyond your expectations. That's why we work together to make your life projects successful and we want to provide you professionalism that meets your expectations. If you are young students in your twenties, the Plateau Mont Royal district is alive and trendy. Similarly, the Côte-des-Neiges and Notre-Dame-de-Grâce neighborhoods, which include many educational institutions. If you are a couple with children, the neighborhood of Saint-Laurent, Outremont or the Southwest and Verdun are ideal neighborhoods for a family life. If you are a professional, the neighborhoods of Ville-Marie (Downtown and Old Montreal), the West of South Island and Villeray are neighborhoods with strong economic activity. According to your profile and your search criterias, we offer you rentals or properties to sell that meet your expectations. The proximity between our team and our newcomers is paramount. Furthermore, KEYS Real Estate Agency is specialized with the arrival of newcomers who want to save time in their search for a home. KEYS is the first real estate agency to offer virtual tours in Quebec! Thanks to virtual reality technology, our international customers can visit on of our parneter agencies aborad or stay at home while visiting a real estate property in virtual reality with the Oculus Rift or the Samsung Gear headset . Our technology allows our customers to view many homes in total immersion 360, as if they were in Montreal.